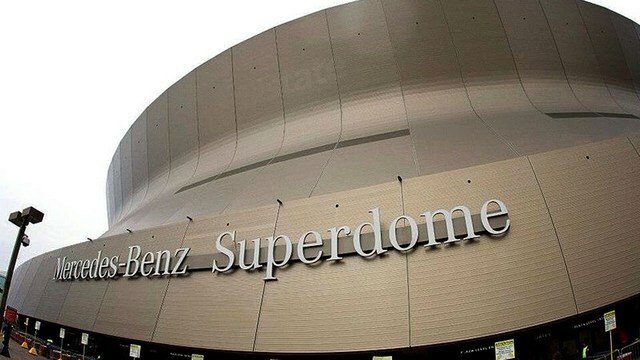 The New Orleans Superdome is again in bad shape. That is what Louisiana residents are being told, but it’s not in the post-Katrina bad shape where a hurricane did great damage to the building. Instead, it’s a renovated 42-year-old building that has to be brought up to speed because without glazed windows on the sides of the building, you have relegated the place to 2006 standards. It was in 2006 when taxpayers started to put up some of the $336 million needed to bring the building to 21st century state of the art standards. That work was completed in 2011. There was another $40 million kicked in for new video boards in 2016. In 2001, the NFL New Orleans Saints owner Tom Benson received a $186.5 million bailout that former Governor Mike Foster gave him as a thank you for keeping his football team in New Orleans through 2010. There were annual payments over a 10-year period. Benson didn’t have to pay rent for his Saints to use the Superdome. Benson also purchased the NBA New Orleans franchise and had a sweetheart deal at the city’s arena. Benson’s NBA business did not have to pay rent either. It was worth it because it kept Louisiana and New Orleans in the big leagues. The justification for the public spending comes from a study that hundreds of millions of dollars are spent in New Orleans because of the NFL Saints, NBA Pelicans, the Sugar Bowl and the occasional big event like the Super Bowl. The studies are best guess estimates. But these mythical and hard to prove economic impacts are used by politicians who like big time sports in their towns. Louisiana Stadium and Exposition officials have greenlighted spending $400,000 to review the Superdome, the first step in spending as much as a half billion to fix up a place that was just fixed up. Previous articleHave the Commonwealth Games Become the Forgotten Games?